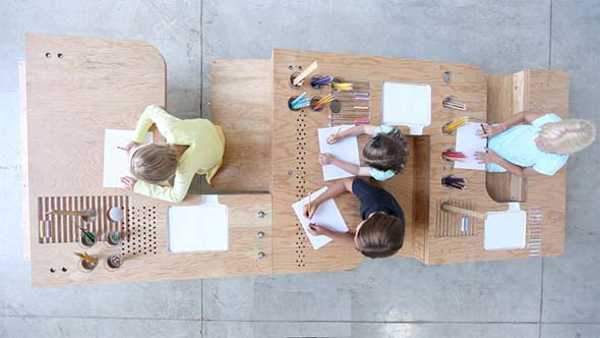 Here’s a true investment piece – a desk that grows with your children, and it’s amazing. This piece of children’s furniture stopped me in my tracks. 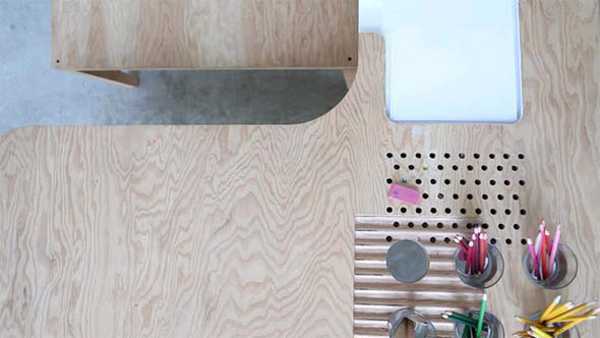 The Growth Table is a beautifully crafted desk, that’s a given. But coupled with the fact it has practicality in spades – that makes it sublime. This is obviously perfect for a family with school-aged children, and little ones. It’s a lovely extension of the idea of everyone partaking in dinner around a table. I’m not entirely convinced this would be the perfect place for older children to concentrate on homework, while their younger siblings play at the other end of the desk, but the idea is rather nice. The tiered seating allows several children to sit comfortably and create. There are lots of little spaces to put pens, pencils, chalk, paper and anything else little ones need to get their art on. It’s made from marine ply and douglas fir. Designed by Tim Durfee and Iris Anna Regn, this beautiful creation appears to be one of those divine things which are just out of our reach – because it’s a concept. We’ll let you know if that changes.